Welcome to Fine Heart Boutique. Fine Heart is an independent jewelry boutique owned by Yvette Perri. She designs and creates all the jewelry in the collection. "This is my art and it is from the heart." 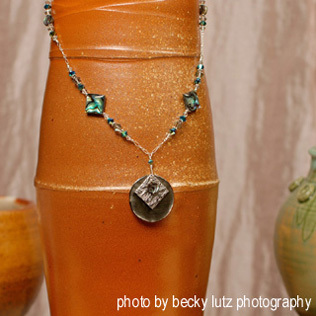 Each jewelry piece is lovingly handmade. "Attention to detail is a natural instinct for me and I love sharing this through my designs and jewelry making skills." Fine Heart jewelry has been called very wearable and extremely attractive. Through the ages, jewelry has been here to embellish and complement the wearer. The jewelry collection is designed to catch the eye, create an elegant and sophisticated look, and make the wearer feel confident and extremely attractive. Yvette Perri is a residential architecture designer and jeweler based in the Northern Virginia and Washington DC Metropolitan area. Designing has always been a passion. When architectural work became a little stressful, jewelry making became therapy. "I love creating things with my hands and I have several, in fact, numerous hobbies in the art and craft world. Designing jewelry has become one of my passions! 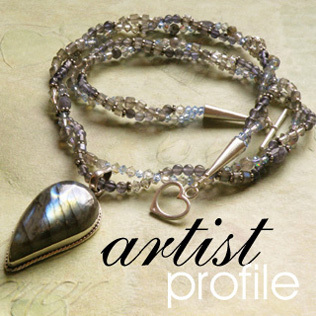 I love finding new ways to work with the beautiful gemstones and metals." Yvette lives in the middle of the woods in bucolic Loudoun County Virginia with her husband and Jack Russell Terrier. 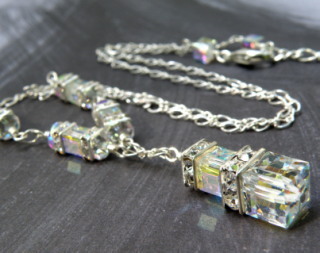 My aim is to please my clients and give them a great experience buying my lovingly handmade jewelry. I have been commissioned by many brides, wedding parties, mothers of the brides, retail shops, spas, and several faithful clientele in the Washington DC Metropolitan Area.